There are so few writers who can make us smile even as they’re breaking our hearts. With 51, his first book in more than six years, Paul Zarzyski gives us not only 30 of his finest poems but also the lyrics to 20 songs co-written with the likes of Ian Tyson, Tom Russell, and Wylie Gustafson. And with 1 self-interview, brilliant and auto-biographical, he shows us what shaped him as an author and artist, performer and poet. 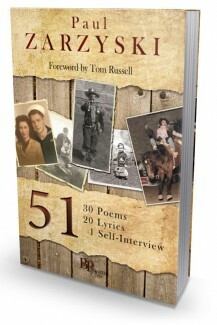 51 is destined to be seen as one of the new decade’s most important contributions to the literature of the West. 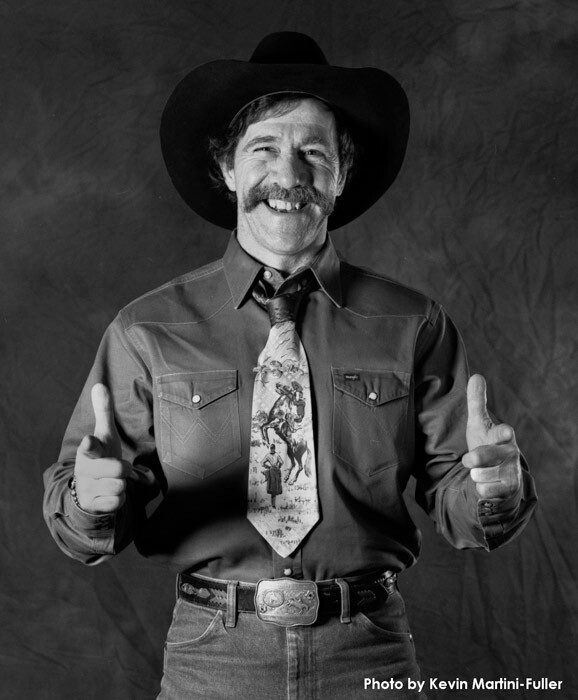 Known to thousands of fans for his sometimes wild, sometimes poignant, sometimes wildly poignant, and always engaging performances on both lariati (cowboy) and literati stages around the world, Paul Zarzyski is a recipient of the 2005 Montana Governor’s Arts Award for Literature as well as a Western Heritage (“Wrangler”) Award from the National Cowboy Hall of Fame. I was born in 1951 in Hurley, Wisconsin, where, throughout the fi fties, sixties, and seventies, a huge billboard adorned the southern entrance to the town—it read, “Where 51 Ends And The Fun Begins.” I turned 51 years old a few years back and ever since, I seem to notice the number appearing before my eyes beyond what statistical probabilities would dictate. This cued me toward a book concept and title—51: 30 Poems, 20 Songs, 1 Self-Interview. Since locking-in on the title, the number 51 has become more and more a daily encounter. I wake up in the middle of the night and I swear it’s perpetually 1:51, 3:51, something 51. Every other highway mileage sign reads Somewhere 51. I click the television remote to fi nd out how much time remains in a program I’m watching—yup, 51 minutes. The morning Montana weather report forecasts, in the summer, a nighttime low of 51 or, in mid-winter, wind-chills down to a minus 51. I check my luggage at the airport and I’m perpetually one pound over the 50-pound limit and have to extract the pair of knee-high lucky Tony Lama performance socks and stuff one into each coat pocket. I drive through a 30 mph residential area where they post those fl ashing digital speed limit warning gizmos and without fail I’m doing 51.